Mmm...yay for healthy snacks from Old London! Check out my review. Buy It: Look for Old London products at your local grocery store or Buy Online. Win It: 1 Whirlwind of Surprises' reader will win $25 of Old London products for themselves. What a yummy prize! Open to US. Good Luck! I'd love to try Spicy Cheddar Bagel Chips ヅ *Thanks* for the giveaway! I would love to try their bagel chips. Yum! Thanks for this amazing giveaway - I would love to win! The Spicy Cheddar Bagel Chips sound yummy! I'd love to try the Garlic and Herb Bagel Chips! I would love to try the Garlic & Herb Bagel Chips. the melba toast is my fave!! I would love to try Whole Grain Melba Toast!! I would like to try Old London's JJFlats Sesame Flatbread. I would love to try their bagel chips! Thanks so much for the fantastic giveaway! I'd like to try the Roasted Garlic Melba Snacks. I'd like to try the Garlic & Herb Bagel Chips. 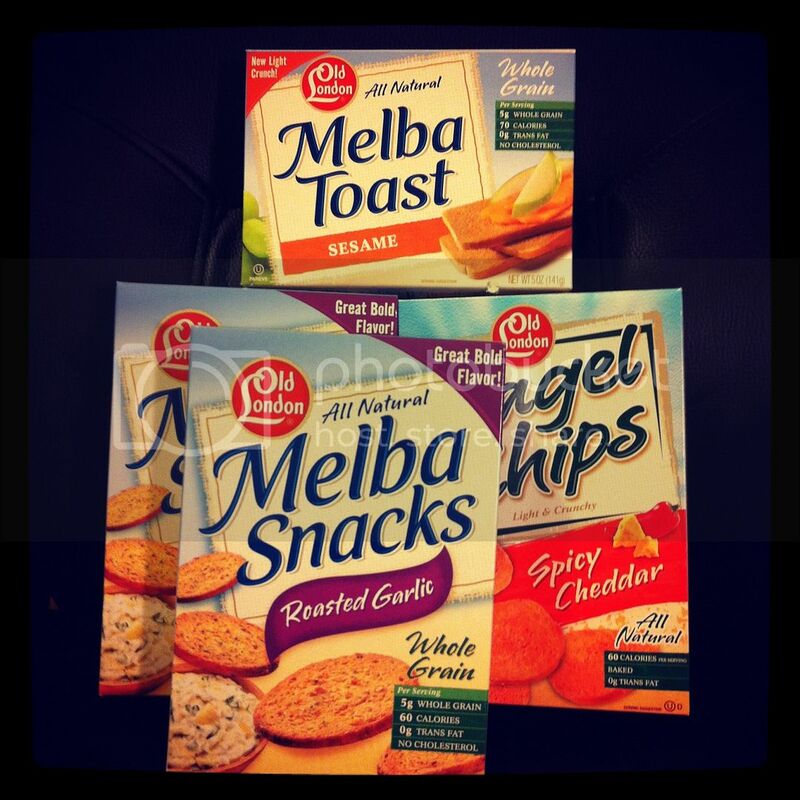 I'd like to try the Melba Snacks. Nice giveaway. Thanks. Would like to try the Garlic Flatbread. I would like to try their melba snacks. I'd like to try the spicy bagel chips you talked about in the original post :) They sounded yummy!! The Sesame Flatbread would be great for the holidays.